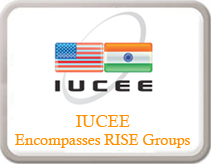 One of the cornerstones of The RISE campus is the Training and Placement Cell. A resident Training and Placement Officer with the richest career profile looks after the cell. The Training and Placement Cell enriches the students' hard and soft skills and prepares them for professional assignments. Our organizational tie-ups form the basis for our easement in placements. The A-1 Trainers from the most noted organizations all over the globe are invited to the campus to assist our students for their career and professional enrichment. Campus Placement Melas organized by the cell are sure to help the students outside the campus too.